Don't be that hockey parent. I don't care if the Colts have lost 2 games! 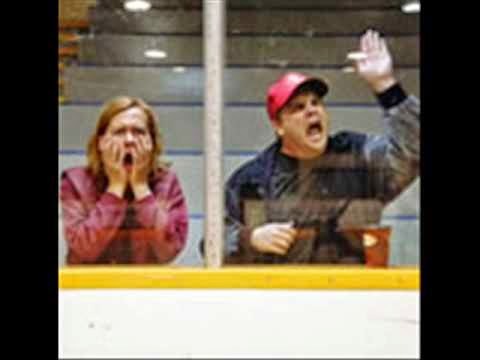 (Crazy hockey parent videos) - Very Barrie Colts | A website covering the Barrie Colts of the OHL. In case you missed it yesterday, there was a video circulating the internet of an angry dad at his kids hockey game. To be fair, one of the kids tried to kick a kid on the opposing team. Though that is a long way from Happy Gilmore taking his skate off and trying to stab someone, kicking at any hockey level is wrong. Anyways, here is the video! Personally, the "Way to go Paul" makes this video for me. Makes you think that Paul has caused his share of scenes at the kids games. No doubt, many have you been to your kids games (or Colts games) and known a fan that you wish would just relax a little. Sometimes we let our emotions get the best of us. But nobody has taken it to the level of Paul, right? Boston hockey fans are tough but apparently Boston hockey moms are even tougher! There were many other great examples but most of them were filled with poor language. We try to keep this site PG. We will leave on this last note from Don Cherry..